The New York Giants have signed cornerback Sam Beal, who they took in the 3rd round of the Supplemental Draft on July 11th. The only remaining unsigned players on the current roster are 2018 NFL Draft picks running Sam Barkley (1st round) and defensive lineman R.J. McIntosh (5th round). 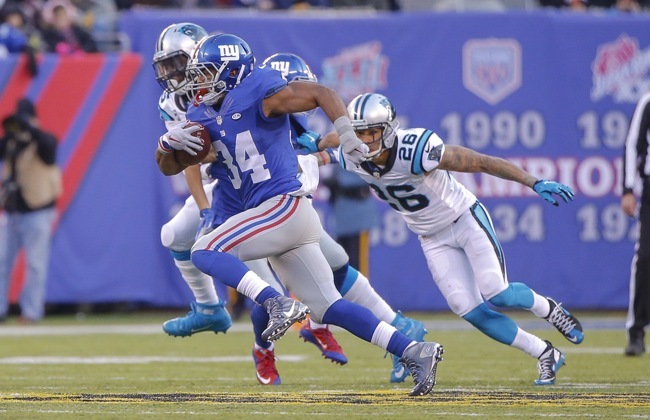 The New Orleans Saints have signed New York Giants unrestricted free agent running back Shane Vereen, who struggled to match his third-down back, pass-receiving productivity of his first year with the Giants in 2015. That season, Vereen had his most productive year in the NFL as a pass receiver, catching a career-high 59 passes for 495 yards and four touchdowns. It was the most receptions by a Giants running back in a single season since Tiki Barber in 2003. Vereen also carried the ball 61 times for 260 yards (4.3 yards per carry). Vereen missed 11 regular-season games in 2016 with a triceps injury that required surgery that he suffered in September and then re-injured in December. In 2017, despite playing in all 16 games, his pass-receiving totals declined to 44 catches for 253 yards. Vereen also carried the ball 45 times for 164 yards (3.6 yards per carry). He did not score a touchdown. Vereen was originally selected in the 2nd round of the 2011 NFL Draft by the New England Patriots. The Giants signed him as a free agent in March 2015. Before today’s game started, ESPN reported that New York Giants Head Coach Ben McAdoo could be fired by the team as early as Monday. 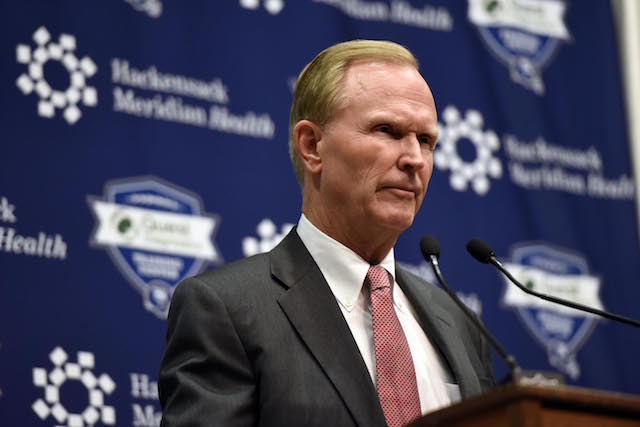 Giants’ team owners John Mara and Steve Tisch were at today’s game but refused to comment on this report. The New York Giants were defeated in a sloppy game by the Oakland Raiders 24-17 on Sunday afternoon. With the loss, the Giants fell to 2-10 on the season. Geno Smith started the game for Eli Manning, who was benched by the team earlier in the week. It was the first time a quarterback other than Eli Manning started a regular-season game for the Giants since November 2004. The Raiders out-gained the Giants in first downs (18 to 15), total net yards (401 to 265), net yards rushing (119 to 65), and net yards passing (282 to 200). 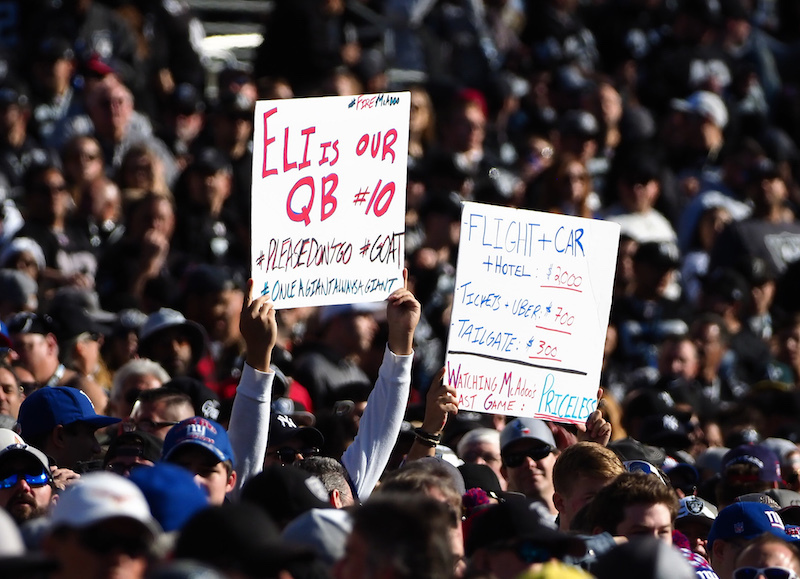 The Giants were hurt by two turnovers, fumbles by Geno Smith, in Raiders’ territory. New York went three-and-out on its first three offensive possessions of the game. The Raiders took an early 7-0 lead on their first possession when running back Marshawn Lynch carried the ball three times in a row for 60 yards, including a 51-yard touchdown gallop. The Giants’ defense then settled down and forced two three-and-outs by the Raiders. The Giants tied the game on their fourth possession. New York drove 74 yards in 11 plays, the big play being a 29-yard pass from Smith to tight end Evan Engram. A few plays later, running back Orleans Darkwa scored from one yard out. The Giants got the ball back when the defense stuffed Lynch on 4th-and-1 at the New York 45-yard line. However, the Giants gave the ball right back when Smith was sacked on 3rd-and-5 from the Oakland 29-yard line. Smith fumbled on the play and the Raiders recovered. Oakland then drove 47 yards in 12 plays to set up a 39-yard field goal that gave the Raiders a 10-7 lead with 3:37 left to go before the half. The Giants went three-and-out for the fourth time of the game, but a 69-yard punt by Brad Wing pinned the Raiders on their 1-yard line. After picking up one first down, the Raiders were set to punt but fullback Shane Smith smothered the punter for an 11-yard loss at the Oakland 9-yard line with 46 seconds left on the clock. New York got zero points out of this as Geno Smith was sacked on 2nd-and-goal from the 4-yard line, fumbling in the process and turning the ball over at the Oakland 11-yard line. At the half, the Raiders led 10-7. Neither team scored in the third quarter. The Raiders’ first three drives resulted in two punts and a fumble (cornerback Brandon Dixon forced a fumble that safety Landon Collins recovered at the Giants’ 27-yard line). The Giants likewise punted three times in a row. The Raiders went up 17-7 early in the fourth quarter after an 8-play, 79-yard drive. 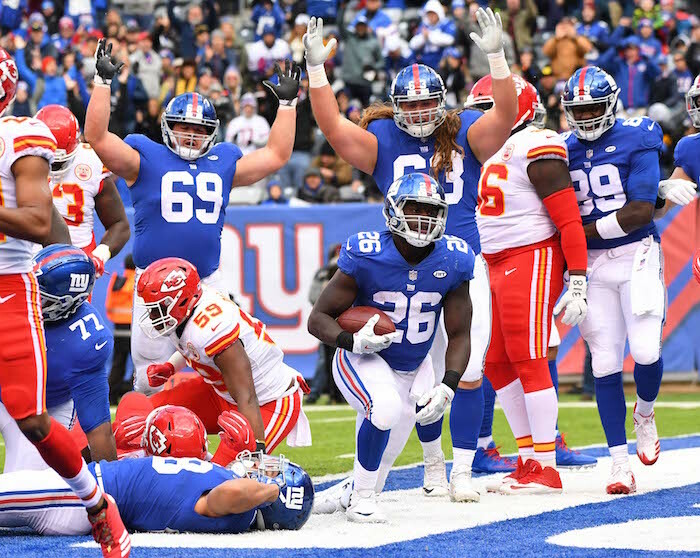 The Giants impressively responded with a 9-play, 88-yard effort that included a 47-yard catch-and-run from by wide receiver Sterling Shepard and then a 10-yard touchdown reception by Engram. The defense could not hold however, and the Raiders quickly went up again by 10 points when they drove 68 yards in four plays, with the big play being a 59-yard pass to start the possession. To the Giants’ credit, they did make the game a one-score contest again by driving 46 yards in nine plays to set up a 52-yard field goal by Alrick Rosas with 1:38 to play. Engram made a superlative one-handed catch for 22 yards on this possession. However, the Raiders recovered the onside kick and ran out the clock. Geno Smith finished the game a respectable 21-of-34 for 212 yards, 1 touchdown, and no interceptions. However, he did fumble the ball away twice in Raiders’ territory. Engram led the Giants in pass receptions with seven for 99 yards and a touchdown. New York struggled to run the ball as Darkwa was held to 32 yards on 14 carries. Defensively, the Giants only had one sack by linebacker Calvin Munson. The only turnover was the fumble recovery by Collins. 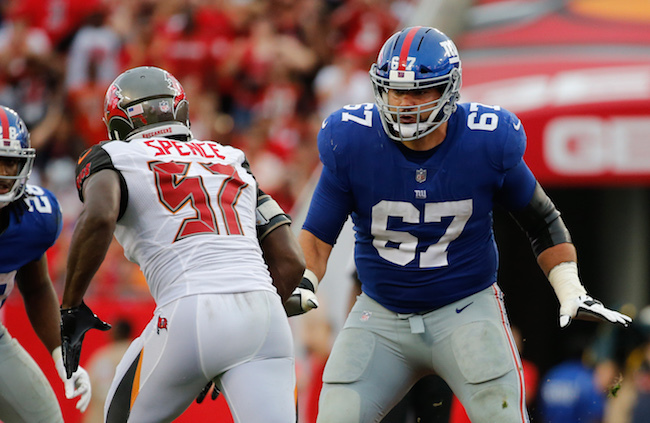 Inactive for the game were offensive lineman Justin Pugh (back), linebacker Jonathan Casillas (neck/wrist), cornerback Eli Apple (hip), quarterback Davis Webb, wide receiver Travis Rudolph, defensive tackle Khyri Thornton, and linebacker Jeremy Cash. Running back Wayne Gallman (hip), offensive tackle Chad Wheeler (concussion), linebacker B.J. Goodson (ankle), and safety Nat Berhe (concussion) all left the game with injuries. The father of New York Giants quarterback Eli Manning, Archie Manning, told NFL.com that his son may retire from the NFL after the end of the current season. 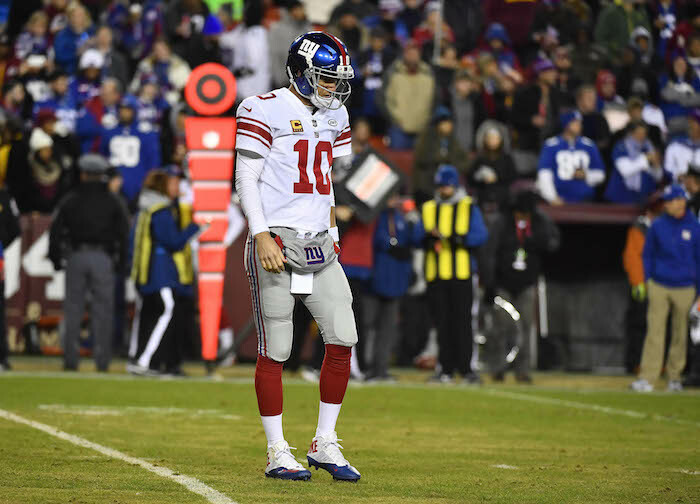 Eli was benched by the Giants this past week. “It just flat broke his heart,” said Archie Manning. 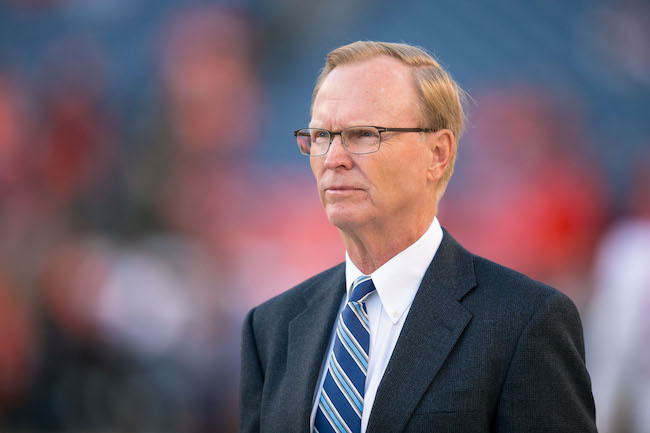 “There’s no sense speculating (on his future). If he’s still there, we don’t know what their future plans are, if other people are there. And you have no idea what other teams will think of a 37-year-old quarterback. You don’t have any idea. Eli might say, ‘I’ve had enough. I’m feeling good. I’ve got a beautiful wife, three little girls, I’m healthy. And that’s it.’ So there’s no sense speculating. However, after today’s game, Eli said he plans on playing in the NFL in 2018. Linebacker Jonathan Casillas (neck/wrist) has officially been ruled out of Sunday’s game against the Oakland Raiders. Offensive lineman Justin Pugh (back) is “doubtful” and defensive tackle Damon Harrison (elbow) is “questionable” for the game. Cornerback Eli Apple (hip) was added to the injury report late on Friday and is officially also “questionable” for the game. There is no media availability to the New York Giants on Saturday. The Giants play the Raiders in Oakland on Sunday afternoon. 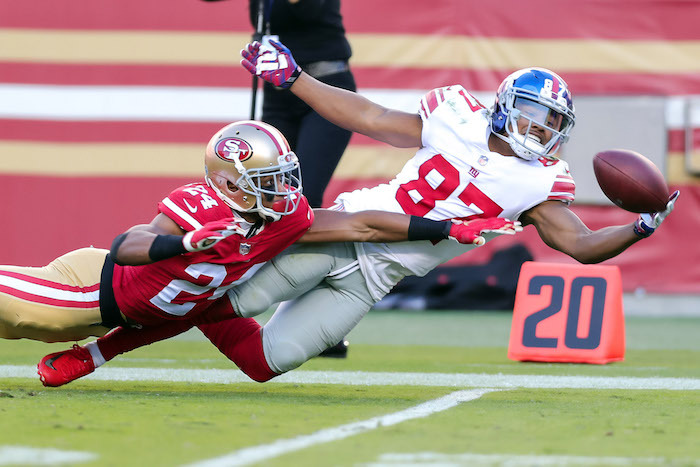 Wide receiver Sterling Shepard (illness), guard D.J. Fluker (toe), guard/tackle Justin Pugh (back), linebacker B.J. Goodson (ankle), and linebacker Calvin Munson (quad) did not practice on Tuesday. Running back Orleans Darkwa (hamstring), defensive end Jason Pierre-Paul (knee), defensive end Olivier Vernon (shoulder), defensive tackle Damon Harrison (ankle), defensive tackle Dalvin Tomlinson (ankle), and linebacker Kelvin Sheppard (groin) were limited in practice. 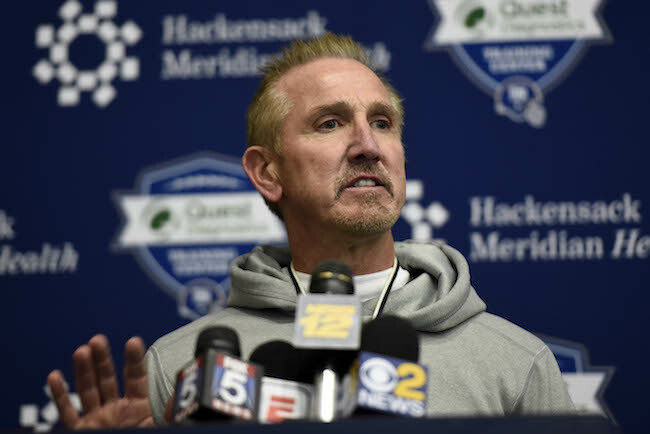 There is no media availability to the New York Giants on Wednesday. The team plays the Washington Redskins in Maryland on Thursday night. The New York Giants did not practice on Monday, but since the team has a short week because of Thursday’s game against the Washington Redskins, it was required to issue an injury report. Guard D.J. Fluker (toe), guard/tackle Justin Pugh (back), defensive end Olivier Vernon (shoulder), defensive tackle Damon Harrison (ankle), linebacker B.J. Goodson (ankle), and linebacker Calvin Munson (quad) would not have practiced today. According to multiple press reports, Fluker will not play on Thursday and could be out longer. Running back Orleans Darkwa (hamstring), wide receiver Sterling Shepard (illness), defensive end Jason Pierre-Paul (knee), defensive tackle Dalvin Tomlinson (ankle), and linebacker Kelvin Sheppard (groin) would have been limited. Q: What’s the schedule like this week? A: Today, we had some meeting time. We had a walk through on the field and we were quick on and off today. No helmets or anything like that. Want to make sure we give the players enough time to recover from this last game getting ready for the next one. So, mental preparation will be big. Sleep will be huge. Have to recover. Q: Is tomorrow like a regular full practice? A: No. No. We’re not going to hit much, if any. Speed this week. Q: Is this a good thing that you have a short work week coming off of a win when it comes to building on the momentum? A: I think it gives us an opportunity to stack two ‘W’s in five days. That’s good. It’s tough for the guys to get ready to play. The players, you know, they poured their hearts out in the overtime game yesterday. So, it’s a quick turnaround for the players. That’s always tough on them, but we don’t make the schedule. We just got to play it, so we’ll be ready to go. Q: Did the overtime game cause you to make tweaks to the schedule or was it pretty much set before that? 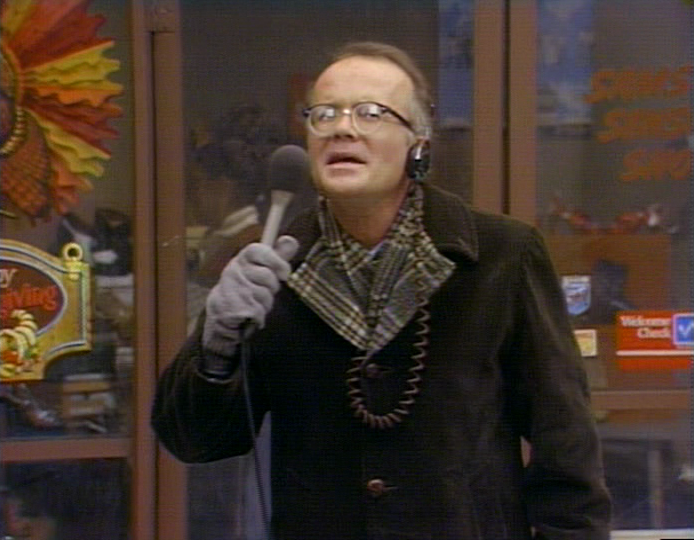 A: Our schedule was pretty much set before that. We have a plan going in. We’ve done a version of it here since I’ve been here and it’s – got to get the players fresh, got to get them recovered from the last game so they’re ready to fire on all cylinders on Thursday night. Q: Do you expect Eli Apple to be a full participant and ready to go Thursday night? A: He was here today and went through practice. Yes. Q: Will it be a normal week for him then? A: It’s a normal week for Eli, yes. Q: Was the decision with him just that he didn’t think he had enough time in practice to be ready to play? A: Yeah. It was a coach’s decision. Q: Do you expect D.J. Fluker and Justin Pugh to be able to go on Thursday and if not, who will go in at guard? A: Yeah. You know I’m not going to tell you that. Fluker – if we were to practice today, he would not have practiced. It was more of a walk through-type day today. But, he did not go. Would not have been able to go. If we had to play today he would not have played. Q: If you have to make a change at guard, how confident are you that John Greco is ready? A: He’s played a lot of football in his career. He’s been around a long time, been in a lot of different systems. So, we’re confident that John will be able to go and be able to step in for us. Q: What was your assessment of Chad Wheeler? A: Yeah, you know, Chad is – like I said yesterday, I think the best way to describe it is you didn’t notice him a whole heck of a lot. He was physical in the run game. I thought he did some good things in pass protection. Now, the challenge for Chad is there’s film of him now. So, when the opponent has film and they know who’s playing, they can go study the tape. So, Chad needs to study himself as well as the opponent this week and take steps to improve. Q: Did you already address Sterling Shepard? A: You got to be on NYG time, but Sterling Shepard would have been a limited participant in practice today if we had a normal football practice and not just a walk through-type practice. Q: When a guy has migraines like that do you put them through a concussion protocol to make sure that it’s just migraines? A: That’s a better question for medical, but right now he is not in the protocol. Q: Has he had migraines in the past? A: That’s a better question for Sterling. Q: Did he mention it though? A: Better question for Sterling. Q: Any concerns about the ability of others you added to the injury report? A: Yeah, I mean, it’s a short week, so it’s tough to recover. That’s the biggest challenge going from a Sunday overtime game to a Thursday night game. We have a lot of guys who are banged up. They’re going to have to fight through some things and possibly Calvin (Munson) and OV (Olivier Vernon). It is a concern. Q: Now that you’ve evened up with Mike Sullivan when it comes to play calling, how do you assess the change and how it’s looked thus far? A: I think our run game is coming. It’s coming along. You’re seeing some physicality in the guys up front. I think the tight ends are making progress and they’re fitting in. We added a couple new pieces there as well as the offensive line. They’re working well together. I think the backs are making some progress, so the run game is probably the most encouraging thing. What you’re seeing – third down is a challenge for us right now. That’s an area where we spend a lot of time and we want to continue to improve and work to improve. But, I think Sully has done a tremendous job there calling it. It’s not an easy chore. But, we’re making some progress especially in the run game. He sticks to the run, which I like. The players return to practice on Tuesday in preparation for Thursday’s night game against the Washington Redskins. There is no media availability to the team on Wednesday.